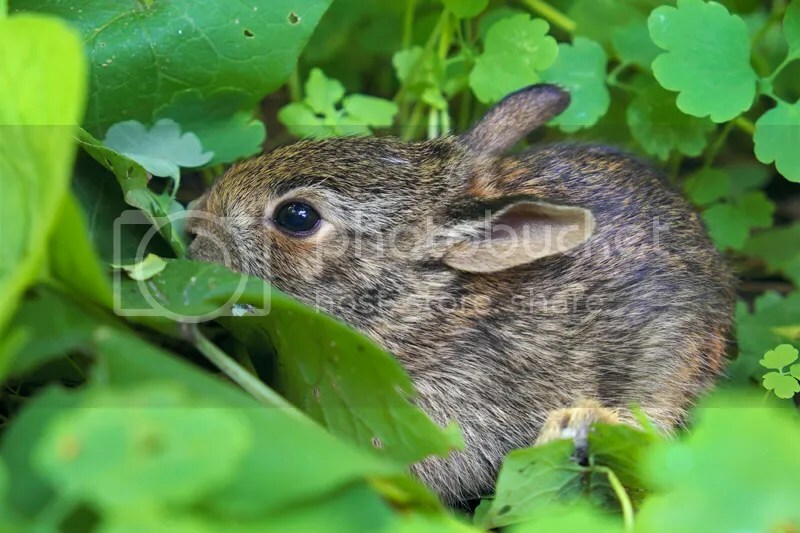 I was cutting the grass in my backyard when i saw a little fur ball running to hide himself under the cover of thick vegetation, it was a baby Cottontail Rabbit. I went inside to get my camera but when i was back the rabbit was not there anymore. I continued cutting my grass and suddenly 2 more little rabbit running again for cover, this time my camera was close and ready and i was able to capture the portrait of one of them. They were very small, around the size of my hand! Taken with my Fuji X-E1 and 18-55mm lens.